So, you’ve heard the expression, this is the first day of the rest of your life? Well, this truly is the first day of the rest of my life. So, before Christmas last year I was diagnosed with Type-2 Diabetes. I thought my life was over. It just seemed surreal. Pricking my fingers constantly, watching what to eat (and not just watch it going into my mouth), exercising. I was reaping years of poor eating habits and laziness. For years I had heard about getting in shape from those who cared, and frankly, I didn’t. When you’re married though you’re not just living for yourself anymore. It’s one thing for your mom to tell you to get into shape, it’s another when your wife is worried how long she’ll have you around after only a year of marriage. Yet, I still didn’t do what I should. I made excuses not to exercise, I cheated on my eating by getting a candy bar when I filled up with gas and other such things. Then my mom was also diagnosed with Type-2 Diabetes. The contrast to how she approached it and I approached it was night and day. She immediately removed the carbohydrates from her diet and checked her blood sugar levels constatly. In the short time since being diagnosed she has lost an incredible amount of weight. Now, the doctors are allowing her to go off her diabetes medications and regulate her sugars by diet alone. I’m still popping Metformin daily! They told her if she lost some more weight basically the diabetes would be reversed and she could eat whatever she wanted again. Here I am, unchanged size wise, and really, unchanged habits wise. Just maintaining. Now, I have a little one on the way. I’m not just living for me, or for my wife, but for my unborn son or daughter. Would they prefer a father who will be around a long time or only a short time. A no brainer to be sure. And, as the new pastor of a church, I have a church family I live for too. I promised them to be with them for the rest of my life should the Lord take me, they direct me out, or the Spirit does. It would seem to be better for the rest of my life to be 60 years and not 20-30. So, today was the first day of the rest of my life. With the Lord’s help I’m turning a new page in my life. I’m not living for myself. I’m not letting my body be my master. I am going to master my body. Through the faint scent of death… I also see life. Hope. Time. Time is always against us. We have a few short years to serve Christ here on earth. I’m resolved to increase those years as much as possible to do as much as I can for Christ, my family, my church, and the world that I can do before the Lord calls me home. And if the Lord calls me home sooner rather than later, it won’t because I let the curse win. I am going to beat my body into submission and make it my servant. Pray with me now that I would have the strength to commit to this and stay with this. I’m getting myself healthy, fit, and trim. I plan to be here for many, many more years serving my church, loving my wife, and raising my children. Today is the first day of the rest of my life… and life is good. I saw the new Disney movie, “A Christmas Carol,” last night starring the voice talents of Jim Carey, Gary Oldman, and others. I took my wife to see it as sort of a little date out and about on the town. 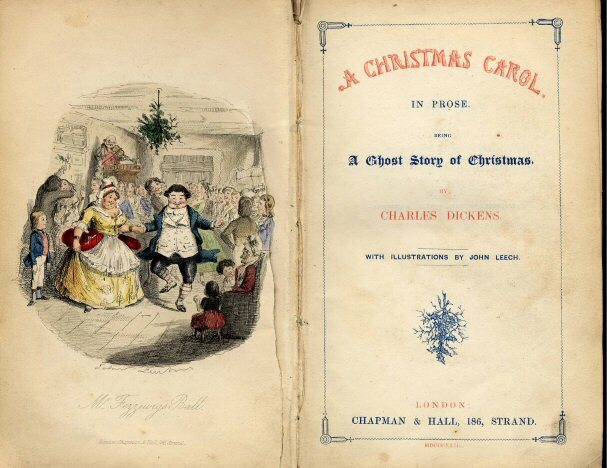 My wife grew up with a great love for classical literature and Dickens’ A Christmas Carol is one of her favourites. She has read it a number of times and is very picky about how movie adaptations reflect the original work of Dickens. I of course simply wanted to go because I like animated movies! Thankfully we were both happy with it since the language they used in the movie was almost exactly the language of Dickens from the novel. She had some quibbles about somethings that were left out but what was there she felt was faithful to the original. 1 John 2:4-6 reads, “Whoever says “I know him” but does not keep his commandments is a liar, and the truth is not in him, but whoever keeps his word, in him truly the love of God is perfected. By this we may know that we are in him: whoever says he abides in him ought to walk in the same way in which he walked.” It is made quite clear here that one of the assurances we have that we are in the faith is that we walk as Jesus did. John is discussing walking in the truth which is more than just words but action. Jesus was truth not only in what he said but in how he lived. Not to embrace the social gospel or anything but the reality is, if we are Christians we are to be faithful to the original, that is Christ, by walking as he did. Our lives, our thoughts, our actions, our behaviour, our teaching should be just as Jesus’ was. 2 Timothy 3:15 reads, “Do your best to present yourself to God as one approved, a worker who has no need to be ashamed, rightly handling the word of truth.” One of the things that a teacher/preacher of the Word of God must be is faithful to the original. We are called to “rightly handle the word of truth.” We are to know the Word and proclaim the Word. As ambassadors of Jesus Christ our job is not to create our own message but to accurately proclaim His message. Every preacher and teacher of God’s Word must know it so as to proclaim it accurately being as careful as possible to be faithful to the original. There are many other aspects of the Christian faith and ministry that force us to consider how faithful we are to the original. The reality is our lives and ministries are to be faithful to the God that has both created our lives and providentially put us into our ministries. Every thought we think, every action we perform, every word we utter, is to be in conformity to the image of Christ. An image is an exact representation of the original. The question becomes how faithful to the original are you? Are you an exact image or only a reasonable facsimile? The new “A Christmas Carol” was pretty faithful to the original. I only hope and pray that my life and my ministry might be also said to be faithful to the original when it is seen by the world and the church. I don’t normally recommend music on here (I’m really more of a bibliophile) but I’ve really gotten into Owl City by my 16 year old sister. Their recent disc, Ocean Eyes, is filled with fun, poppy songs that simply said… make you feel good! There’s no dark and depressing stuff here. Whether it’s the romantic, “Vanilla Twilight” or the just silly “Dental Care”, you will be made to feel good and be thankful for love, warmth, and fireflies and all sorts of things! The sort of “electronic” style with a hint of disco and other aspects will just make you be warm and happy! And frankly, we all could use a little more warmth and happiness! And as a Christian and pastor I will say you will find nothing objectionable in this CD. I am finding more and more of my peers enjoying this CD and you will too! The Canadian Baptist Historical Society (CBHS) traces its origins back to the nineteenth century when Baptists passionate about their heritage began a process of preserving critical documents and studying the Baptist presence in Ontario and Quebec. Its primary focus is on the history of all Baptists in the Canadian context, but the study of Baptists around the globe is also a part of its mandate. Scholars, pastors, students and those interested in Baptist history are all warmly invited to attend meetings of the society. The CBHS is always interested in paper proposals for its meetings, and if you have a proposal for next year’s meeting please send it to Gord Heath. The CBHS has also recently started to publish a series of books on Baptist history. Volume one will be Baptists and Public Life in Canada (anticipated publication in 2010). Two other volumes are anticipated in 2011 and 2012. Future locations will be Tyndale Seminary (2011), Toronto Baptist Seminary (2012) and Heritage Seminary (2013). You are currently browsing the Working out Salvation with Fear and Trembling blog archives for November, 2009.